Krynica is not only the town of the healing waters, but also a rich source of artistic events. This is the town of a primitive painter - Nikifor, whose person permanently belongs to the Krynicki landscape which became a constant source of his inspiration. Krynica is also a place where every year the European Festival of Jan Kiepura is held. Krynica has unique architecture, and a unique in the world the track of Greek Catholic wooden churches as well as original buildings in the city center and beautiful old wooden houses from the early twentieth century. 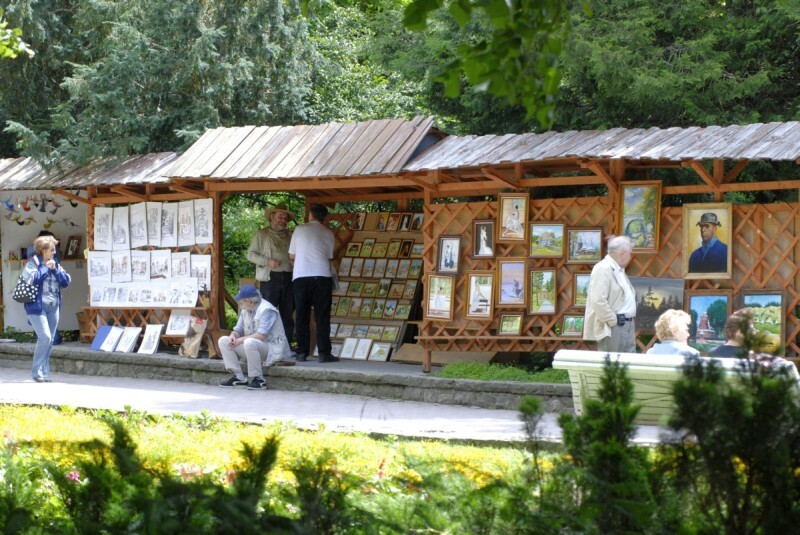 It is also a vibrant artistic town which promote local artists, photographers and poets who presented their work at the Gallery under the Chestnut Tree “Pod Kasztanem". but also a place where young people through activities of Cultural Centre have an opportunity to develop their passions, whether through dance, art and music.